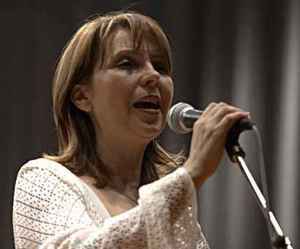 Bilja started her music career singing in a chorus; later on, mid ‘70s, she sang in two acoustic bands, one led by Bora Đorđević (Suncokret) and the other by Đorđe Balašević (Rani Mraz). Solo career began in 1983 with the album "Prevari večeras svoje društvo sa mnom" (PGP RTB). Three pop-oriented albums followed: "Iz unutrašnjeg džepa" (1985), "Loptom do zvezda" (1990) and "Bilja" (1994). She graduated at the Music Academy in Belgrade. In June 2001. she formed the band “Bistrik Orchestra” to help her in projects that involve obscure ethno songs from the territory of Kosovo, south Serbia, Macedonia, the Vlach district in east Serbia, Romania, Bulgaria and Hungary.